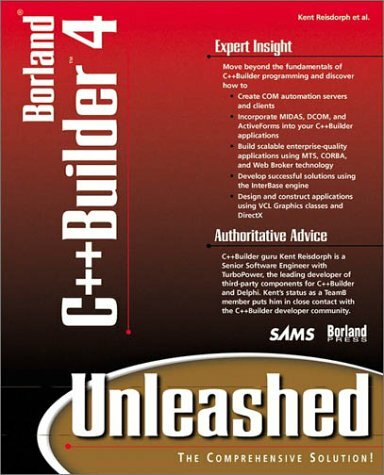 You can order C++Builder 4 Unleashed from Amazon.com and Amazon.co.uk (with significant discounts). Note that I get a small commission for each on-line order from my website (so thanks in advance for those of you who order(ed)). I wrote chapter 17 and parts of 20 and 21 of C++Builder 4 Unleashed. As you can see from the above Table of Contents, 5 out of 26 chapters require the Enterprise edition; the other 21 chapters can be read with any edition of C++Builder.